Two weeks in a row and I’ve actually written a meal planning post. 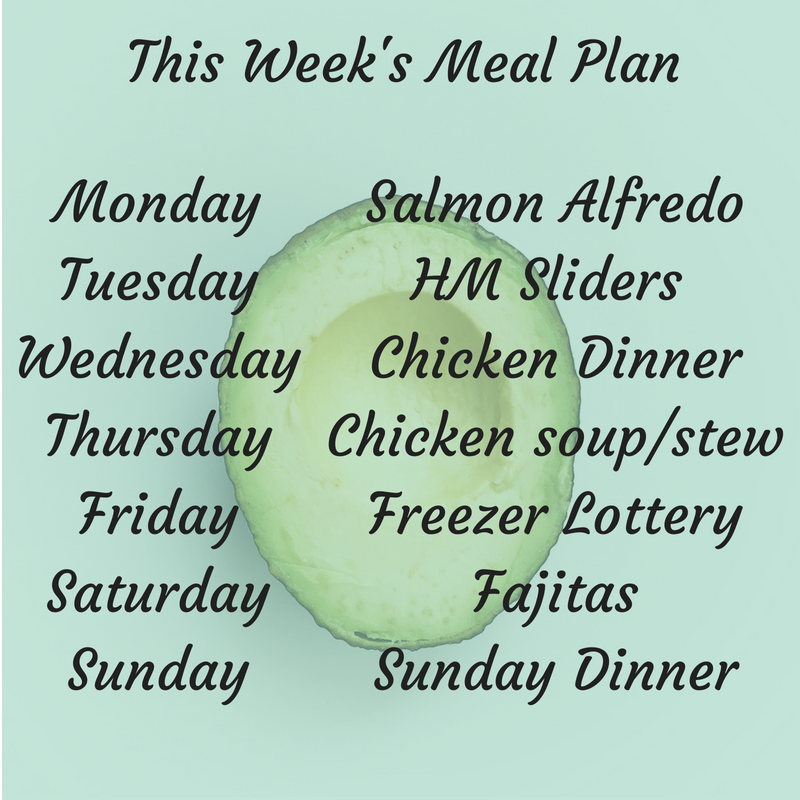 Last week’s meal plan made me smile as I shared in on Instagram as well as on here and a lot of the kids friends have started following me since I last shared it so when I shared the post on Sunday, they all thought it was funny to message the kids and ask if they were looking forward to their Hunters Chicken on Monday. This week we have a meal on there that I’ve never cooked before – I have no idea how it will turn out or how well it will go down with the family but I love the sound of it and it’s Slimming World Friendly so I’m going with it! As always I’m not going to go into huge detail about every meal but I will try and share the recipes for everything that I cook at one point or another. To save boring you, I don’t usually share the accompaniments that we serve with each meal but I have a freezer drawer filled with all sorts of frozen vegetables and I usually make things like sweet potato fries, slimming world chips, mash, salad and garlic bread. I also make HM flatbreads and HM wedges when I’m feeling particularly domesticated! #WhatsForTeaTonight – Spaghetti and Hot Dog Spiders….